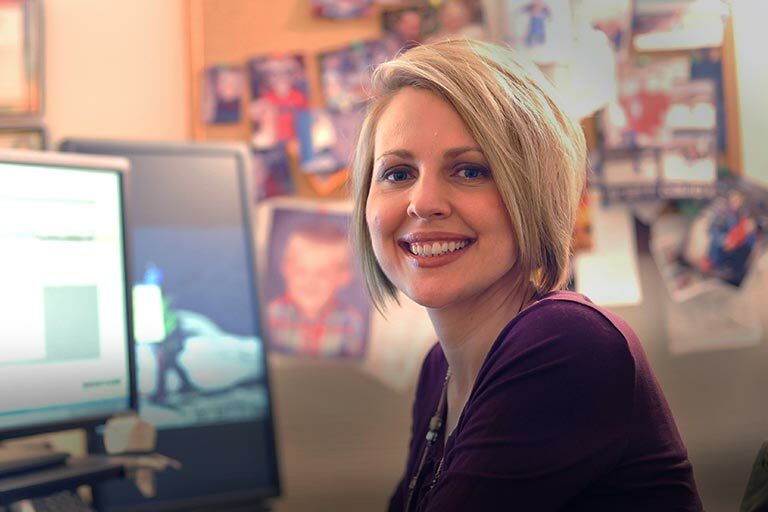 By buying this product you'll earn up to 2899 Rewards points. The Salamander Designs Berlin 336 cabinet sits a little higher than most, ideal for raising your TV to a comfortable viewing level. 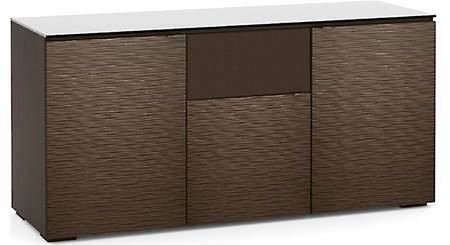 The stand features textured Wenge wood door panels and a tempered glass top that can make it a focal point for your room. Hand-built in the USA, this finely crafted cabinet has a rock-solid extruded aluminum frame that you can customize with Salamander Designs shelves, legs, and casters . The Salamander Designs Berlin 336 cabinet sits a little higher than most, ideal for raising your TV to a comfortable viewing level. The stand features textured Wenge wood door panels and a tempered glass top that can make it a focal point for your room. Hand-built in the USA, this finely crafted cabinet has a rock-solid extruded aluminum frame that you can customize with Salamander Designs shelves, legs, and casters. 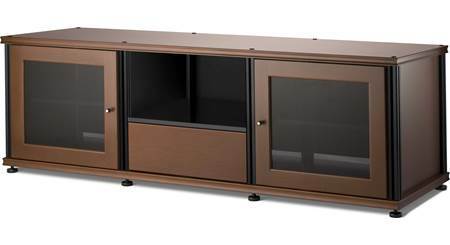 The 336's spacious cabinet top can support a TV up to 75” and weighing up to 150 lbs. The two side component compartments each have two adjustable shelves that can be set to any height. The center component compartment also features an adjustable shelf. The doors feature soft-close dampeners. The center speaker compartment has a removable speaker grille. It lets you keep the speaker out of sight but still lets the sound pass through. Each of the cabinet's back panels have openings for cables, making it easy to connect your components together while maintaining a clean, uncluttered look. Ventilation louvers ensure air moves freely throughout the cabinet, keeping your components cool even with the doors closed. The low-profile feet have hidden levelers, and the entire cabinet can be wall-mounted. 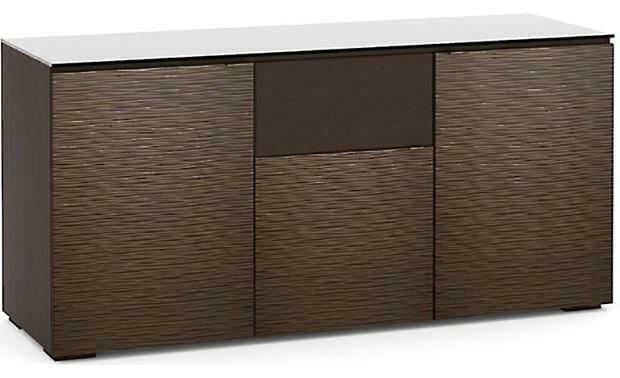 Searches related to the Salamander Designs Chameleon Collection Berlin 336 A/V cabinet for TVs up to 75".